Inland Hampshire has a noticeable old-fashioned rural feel to it. It is peppered with small villages that nestle amidst the gently rolling countryside. This is the sort of landscape that has inspired many a writer, including the likes of Jane Austin. 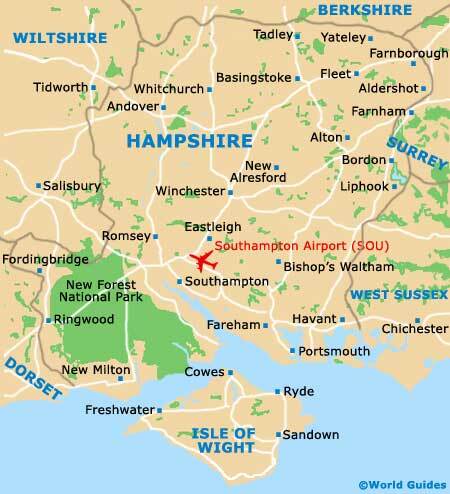 Head to the coast and Hampshire presents quite a different picture. It is almost impossible to miss out on the fact that the Hampshire city of Portsmouth is steeped in maritime history. It was, after all, the birthplace of the Royal Navy. Its streets have been walked by many a sea dog, and most certainly by Lord Nelson, who commandeered the famed HMS Victory, which is still anchored here today. Portsmouth is also where you will find the rescued Tudor shipwreck, the 'Mary Rose'. Today, the port is home to almost two-thirds of the Royal Navy's surface ships. Southampton, Hampshire's largest city, also attracts sailors, although they come from a much more fashionable sailing set. Keen yachtsmen and women gather here to enjoy the area's safe waters, as well as its sailing clubs, including the historic Royal Solent Yacht Club. The renowned British sailor Dame Ellen MacArthur is an honorary life member. Hampshire's famous stretch of heath and ancient woodland, the New Forest, has done remarkably well to survive the onslaught of modern life considering that it was only made a national park as recently as 2005. During the summer months, the New Forest becomes incredibly busy with cyclists, walkers and wildlife enthusiasts. Deer and wild ponies continue to roam freely here, putting in many a surprise appearance for those enjoying an afternoon stroll. The county town of Winchester marks the starting point of the scenic South Downs Way, which wends its way through Hampshire to East Sussex. Winchester is dominated by its cathedral, the longest of its kind in Europe. It is a 'must see' if you are a history buff, although the city has plenty of other interesting landmarks, including Winchester Castle.